Some families just have good jeans. But in this case the Taubenfligel family also has some pretty amazing genes to boot. Aside from being ridiculously good looking, Adam, Ania and Mark are three siblings with tremendous talent. On paper it seems as though their interests couldn’t be any different. Ania in equestrian show jumping, Mark in custom motorcycle design and Adam in fashion. But as it turns out these differences came together to inspire Triarchy – their equestrian and motorcycle inspired denim collection. 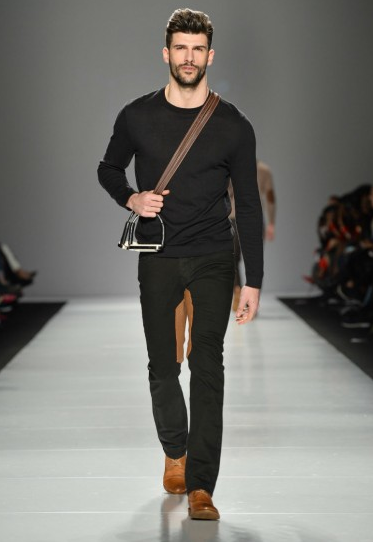 I had the pleasure of checking out their Fall 2014 collection at World Mastercard Fashion Week in Toronto – a show in which they are no strangers to. The show opened with a beautiful and touching vignette of Ania explaining the story behind the brand. Born in Vancouver, bred in LA, this family business was built on the foundation of quality, craftsmanship and a love for denim. Three siblings who may not always be in the same place, always have their business keeping them together. The collection has a timelessness about it, but also has hints of leather and patterns throughout it giving it that equestrian / biker flare. What I loved most about the collection was how wearable it was. You looked at model after model and forgot that these were in fact models. All I kept thinking was “Oh! I want those! And those! And those!” And aside from just WANTING those jeans, I could actually go out and get a pair. So needless to say I will be promptly getting myself into a pair of Triarchy jeans and will absolutely be keeping an eye on this trio. 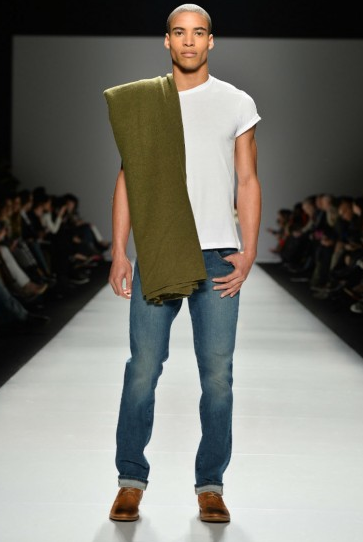 Congratulations to Adam, Ania and Mark for an incredibly amazing collection at Mastercard World Fashion week! Visit the Triarchy website to learn more about the brand and check out their amazing collection! ← Letterkenny Problems – Canadian Screen Award Nominee!